Thoughts - a reality check. Life has been busy lately. Isn't that everyone's complaint? I'm trying to balance home, life, kids, pets, marriage, activities, groceries, cooking, cleaning, quilting, and now...exercise. It is one of those last pieces of the health puzzle that was not included in my routine. I have been feeling pretty burned out lately with quilting. I'm not sure if it is the other half of life that is trying to fit in, the lack of my own personal creativity or what. I adore quilting on my longarm, but I'm finding I need to balance it a bit more. I really really miss the design aspect- I have this whole metropolitan man quilt series idea sitting in the back of my head for the past year that has not come to fruition. I am 4 baby quilts behind- at this rate, the babies will be in kindergarten by the time I get to them. 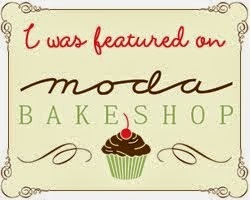 I have a bunch of ideas for the Moda Bake Shop and I have yet to design and make a quilt for my own bed. All of my scraps are still sitting in scrap bins. My modern quilt guild quilt along will never get started. As much as I love quilting for others - and I do, I love it - I need to find a better balance of the amount I am doing for others vs doing for myself. When my kids ask if I can volunteer for a class field trip (2 in one week) and I get anxious thinking I cannot do it because of the quilts in my queue- then I know I've bitten more than I can chew. There's a reason this blog has been neglected. I hate the fact that I don't have anything interesting to post about - I just post photos of what I have done, kind of like a factory post. I dislike that. I dislike that I used to follow and comment and keep up with a number of blogs and friendships. And now I don't - because it's just one more thing to do. I love the challenge of longarm quilting - I love how I have taught myself to do this on my own, that each quilt gets better and I feel accomplished and rewarded by the results. I am so proud of what I have built up. But I'm feeling unbalanced. Does this mean I am not cut out for this? I don't want to be quilting 24 hours a day. I want to go to the gym, I want to go to the dog park, I want to watch that awful shocking episode of Grey's Anatomy. I want to attend a SewDay. I want to design quilts and make quilts. I want to longarm quilt! I want to just hang with my kids. When I look at blogs and instagram and see these amazing quilters doing it all - how do they do it all? If I get the urge to do some piecing in my studio I feel sudden guilt - as that queue of quilts whispers at me. People are waiting for them. Don't make them wait. How on earth does one do it all? I feel like I have the most flexible life ever, but I am bouncing around like a pinball! Do I not have enough grit? Sorry for the rambles. These are the thoughts that have been burning through my mind in the past month. I've done some pretty awesome quilts in the last month - will post another day in my typical factory post. For now, you get the raw rambling thoughts going through my head.